Two-tier folded tulle skirt = yards and yards of twirly goodness! 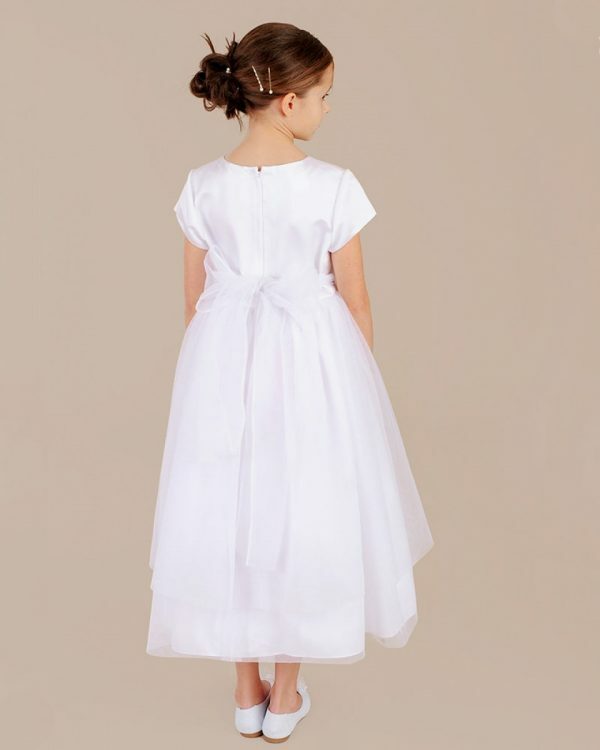 A beautifully simple satin bodice with a sweet double-layer tulle skirt makes a lovely option for your white dress needs. Available in Little Girl and Girl sizes.